There’s something so infinitely romantic about autumn in South Africa, when the trees turn to chestnut, claret, rose and ruby red, announcing the spectacular transitioning of summer to winter. 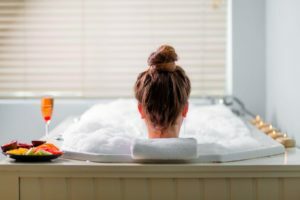 Seasonally speaking, March to May is an enchanting ‘in-between time’ – the weather is neither too hot nor too cold, and it’s an exceptionally pretty time of year for an autumn getaway in South Africa. Here are a few to consider, where autumn puts on all her best finery. The Magaliesberg is always beautiful, but its special charm is autumn when the trees make their annual metamorphosis from green to hazelnut and all the glorious shades along the spectrum of red. 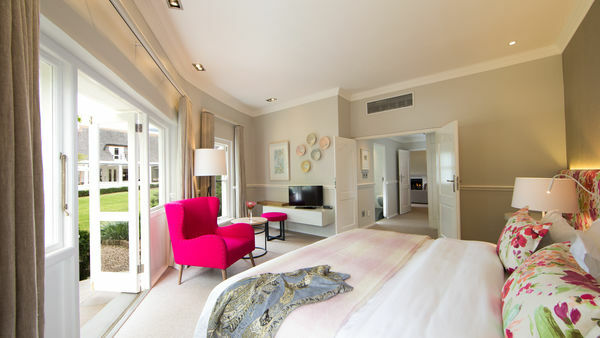 De Hoek Country Hotel is just an hour’s drive from Johannesburg and Pretoria, and a pretty drive at that. You’ll have a big sweep of unadulterated countryside and an exquistely peaceful garden to beautify your breakaway. See More. Check availability at De Hoek. The Dullstroom countryside, so well-endowed with trees and serenity, is a magnificent kaleidoscope of colours in autumn. Sometimes dubbed “Little Scotland”, Dullstroom is spectacularly located on Mpumalanga’s eastern highlands, a landscape of rolling hills, fertile farmlands, glinting dams and romantic spells of mistiness. 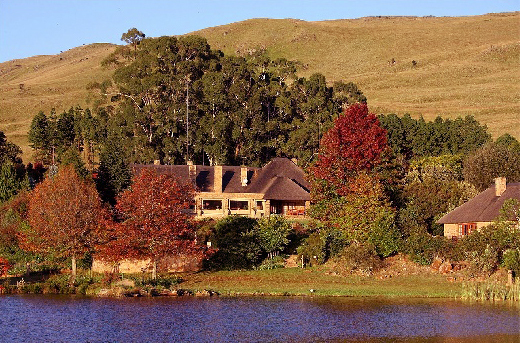 This gentle pastoral world comes boldly alive in the autumn months and Walkersons Hotel & Spa is a great getaway for enjoying all of this. See More. The KwaZulu-Natal Midlands come beautifully ablaze with colour in autumn. 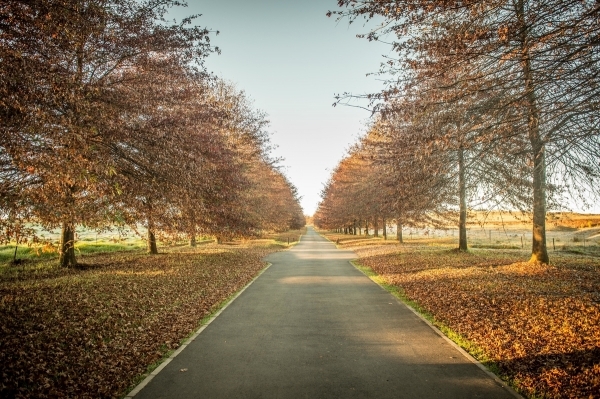 Fordoun Hotel & Spa is beautifully picturesque when the trees turn crispy in shades of tan and tawny. Because the area gets hardly any autumn rain, it’s a good time for hiking and making the most of the scenic outdoors. Back at the lodge, spa treatments are hard to decline and the dining is excellent. See More. 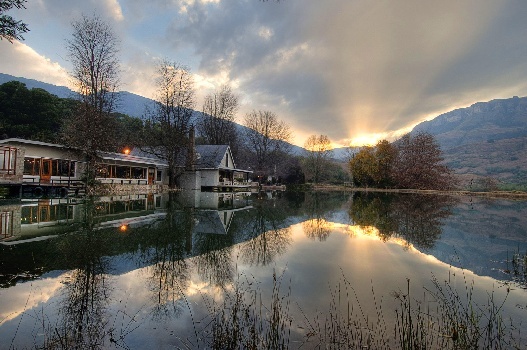 Visit Cleopatra Mountain Farmhouse in the Kamberg Valley and feast on food and beauty in equal amounts. It’s a beautiful world, and a must-do getaway. The food is beyond legendary and the scenery exquisite. See More. Check availability at Cleopatra Mountain Farmhouse. 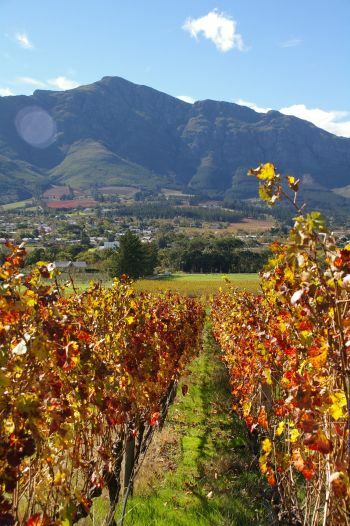 There’s nothing more beautiful than tracts of vineyards sporting bright autumn garb against mild March – May skies. 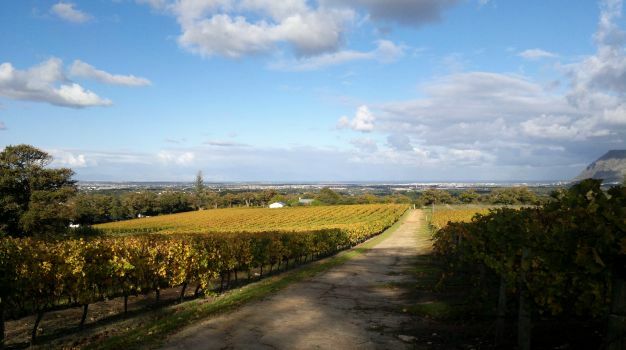 Get away to Kleine Zalze’s rolling vineyards 3 km outside Stellenbosch, to enjoy the good life and experience the delights of autumn. 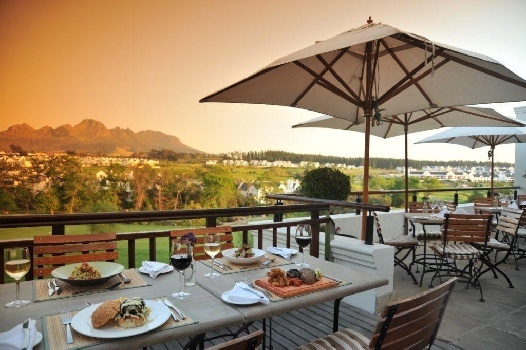 Kleine Zalze Lodge offers 4-star accommodation, with wine tastings, vineyard walks and outstanding golf on tap. See More. Mont Rochelle offers is a fabulous place at which to celebrate autumn in rather grand style. 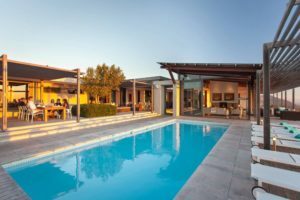 It’s Sir Richard Branson’s hotel and vineyard, and it offers a magnificent stay with the options of vineyard meanderings, wine tastings and cellar tours. See More. 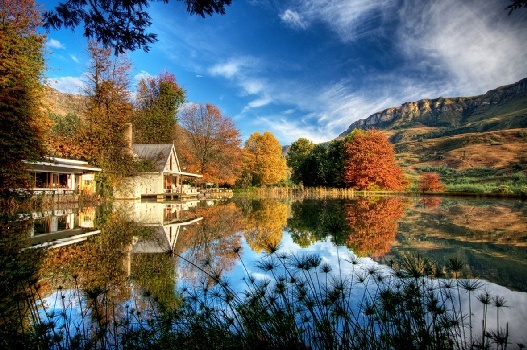 Mail us to book your autumn getaway in South Africa, or call 0860 102 907 (local) or +27 21 797-7122.